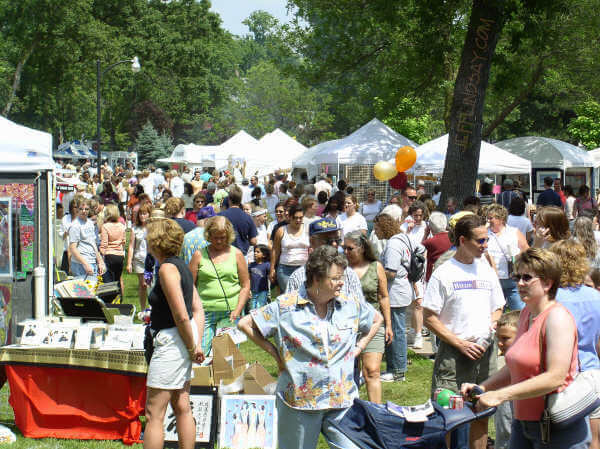 Art in the Park is one of my favorite traditions in Appleton, Wisconsin. 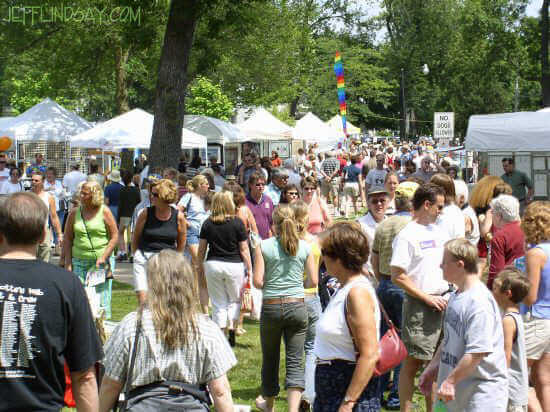 We boast a surprisingly high concentration of talent in the arts and a rich cultural life, as illustrated by the large crowds the flock to our annual festival, Art in the Park. 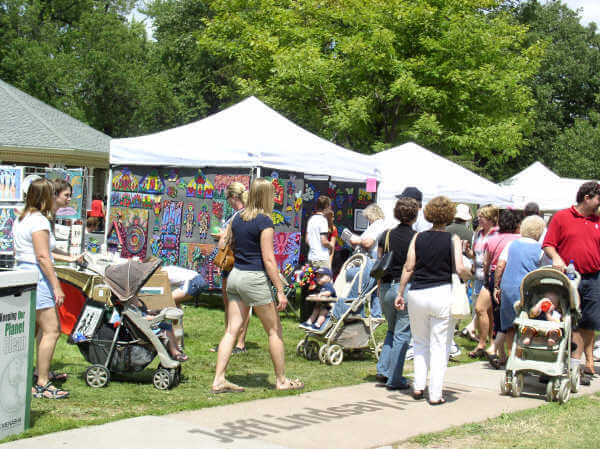 This event, typically held in City Park, features dozens of booths by artists, live music and entertainment, and thousands of visitors. The vent shown here was held July 31, 2005. These photos are copyright Jeff Lindsay 2005. This is one of many Apple Shots pages: down on the left are links to others such as Apple Shots #4, Apple Shots #10, or Apple Shots #15. 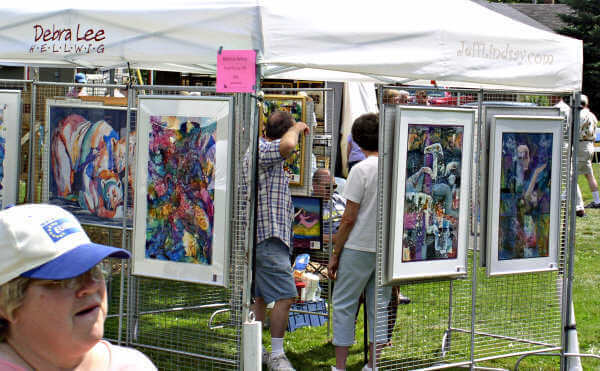 Dozens of booths featuring great art are the main attraction at Art in the Park. You can learn, buy, or just browse and enjoy. 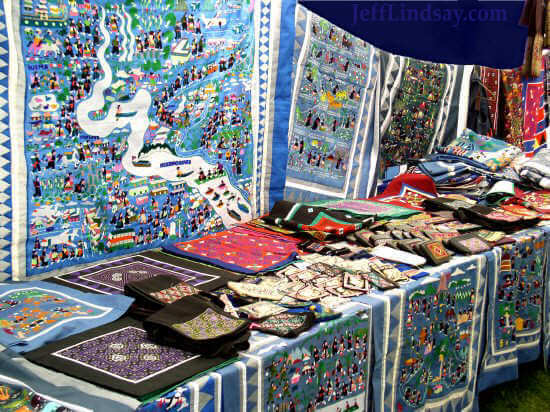 A Hmong booth features the intricate "bandao" cloths (literally "flowery cloth") that tell the stories of their people. These are great for displaying in your home. 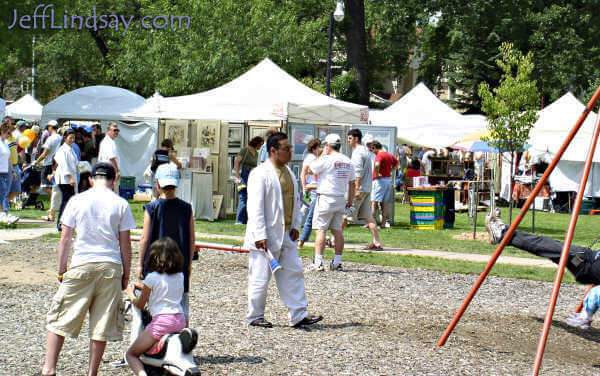 Several more booths by regional artists. 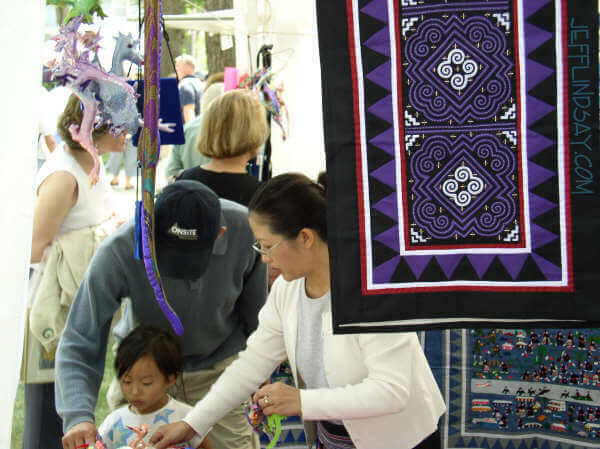 A Hmong family works at another Hmong booth. 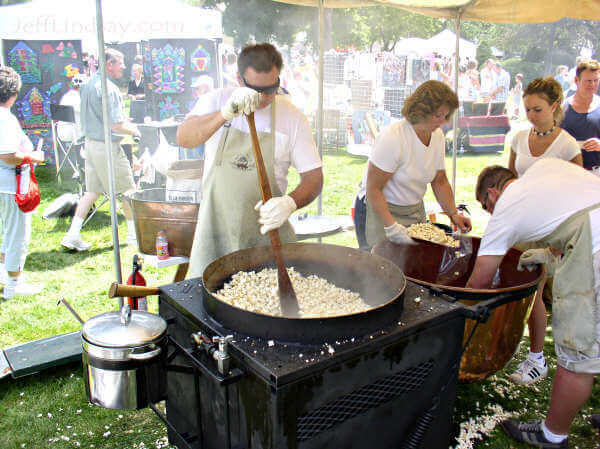 The fine art of kettle corn draws many visitors. 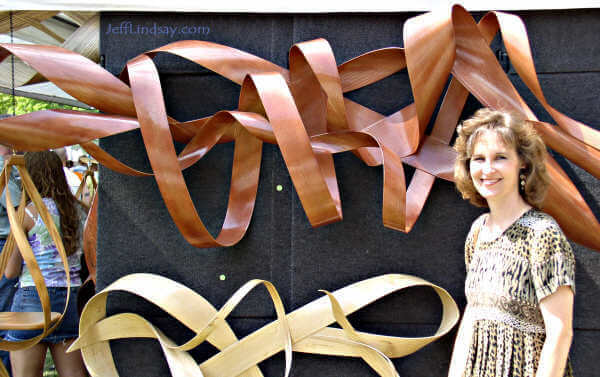 It's certainly a rapidly expanding art form. 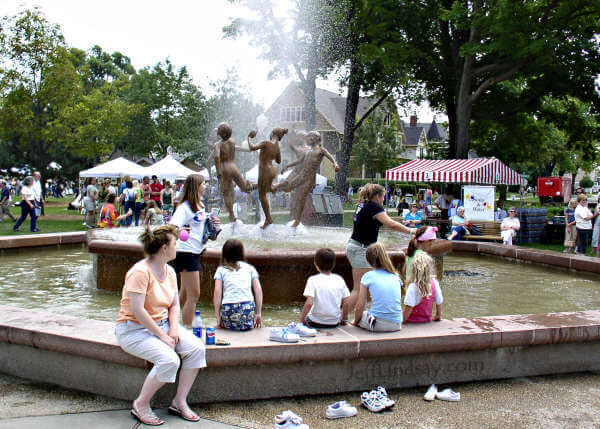 More children are drawn into the waters of the fountain and its famous sculture. 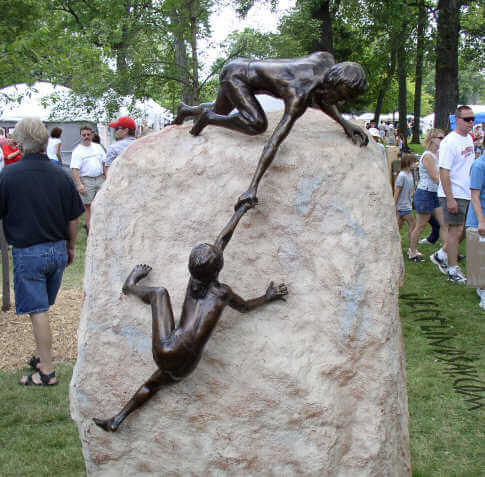 Paintings by Debra Lee Hellwig, an outstanding Wisconsin artist. 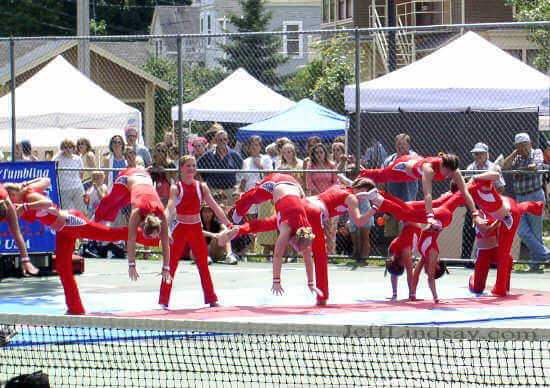 Tumblers from the West Bend Dance-Tumbling Troupe entertain with a high-energy routine. This is what the crows above was watching. 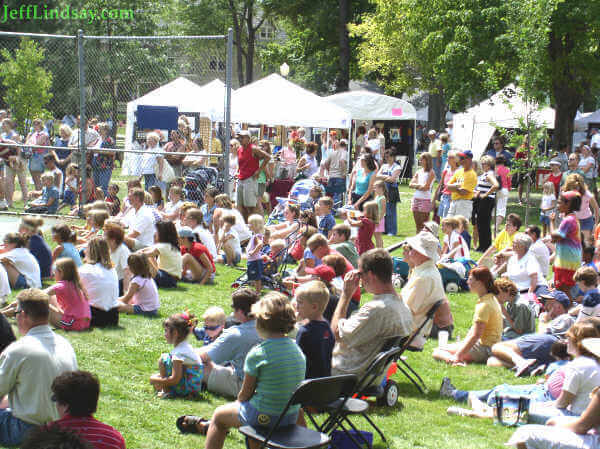 Another crowd ambles about City Park. 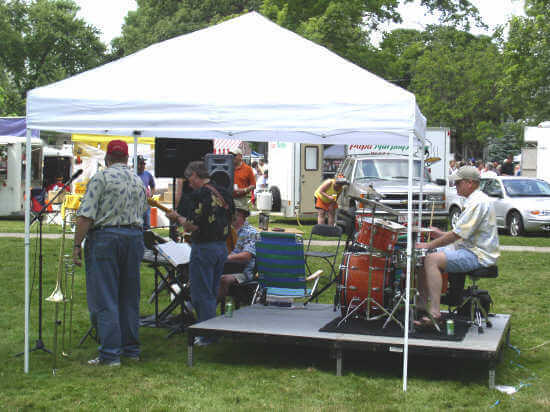 A rock band performs. It's not Fleetwood Mac - at least not this time - but people enjoyed it. Beauty is what it's all about. 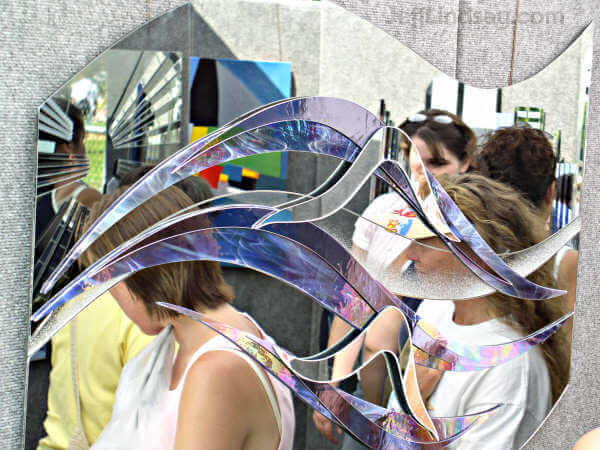 People pause to reflect on some beautiful art. Creation date: Nov. 8, 2004. Last updated: Aug. 5, 2010. 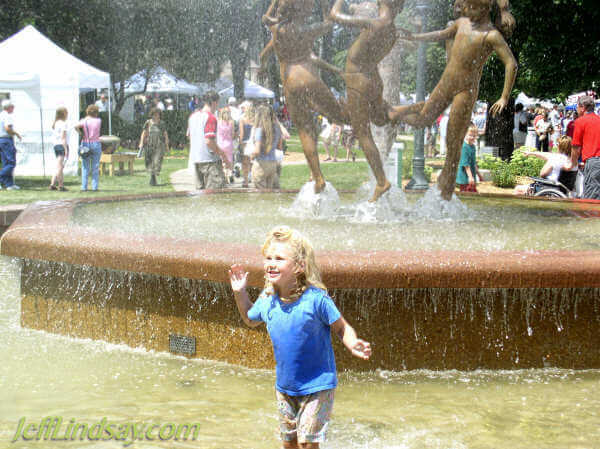 All photos are copyright ©Jeff Lindsay, 2003-2010, and are the property of Planet Lindsay, LLC. Please request permission before using photos for any purpose. Apple Shots 1: My First!